The Govs got a boost as they won by default at No. 3 doubles and then the team of Tatiana Lopez and Honoka Nakanishi won their second straight match at No. 2 doubles to take a 1-0 lead into singles. In singles, the Govs once again got a default win at No. 6 singles, as they went up 2-0 in the match. 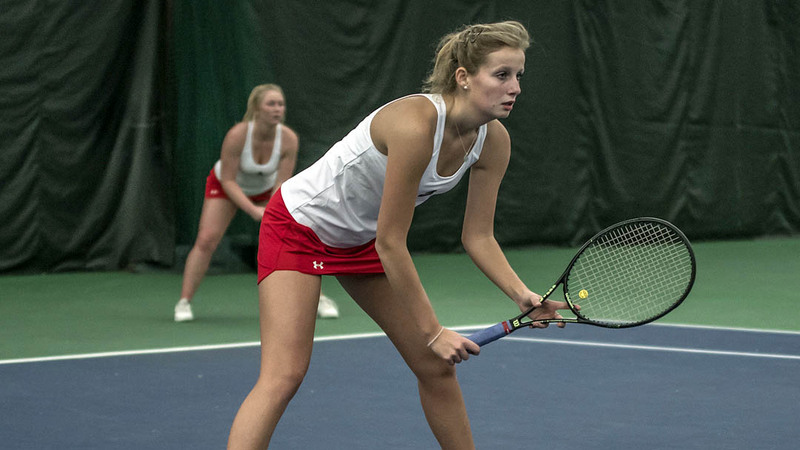 The Govs then dominated the contested five singles matches, not dropping a set. Lopez and Danielle Morris claimed perfect victories at No. 3 and No. 5 singles, respectively, as they each won their matches by a scoreline of 6-0, 6-0. The Govs had already won the match by the 4-0 score, but they were not done there. Helena Kuppig provided another 6-0 scoreline in the first set of her match at No. 4 singles, before taking the second set 6-3. Each of the Yanes Garcia sisters also won their matches in straight sets, with Lidia Yanes Garcia comfortably winning, 6-2, 6-1 at No. 1 singles and Claudia Yanes Garcia winning 6-2, 6-4. The Govs ended up not dropping a single set the whole day and will play again next Friday against Carson Newman at home.